Not Resting Long Enough May Ruin Your Gains! 1 vs. 5 min Cut Post-Workout Increase in Protein Synthesis by 50% ! You may remember Schoenfeld et al’s 2015 study with the telling title “Longer inter-set rest periods enhance muscle strength and hypertrophy in resistance-trained men” (Schoenfeld. 2015) and Henselmann’s and Schoenfeld’s previous review of “The Effect of Inter-Set Rest Intervals on Resistance Exercise-Induced Muscle Hypertrophy” stating that “the literature does not support the hypothesis that training for muscle hypertrophy requires shorter rest intervals than training for strength development or that predetermined rest intervals are preferable to auto-regulated rest periods in this regard” (Henselmann. 2004). Eventually, it can thus not be surprising that James McKendry and colleagues write in their latest paper that “short rest (1 min) between sets of moderate-intensity, high volume resistance exercise blunts the acute muscle anabolic response compared with a longer rest period (5 min), despite a superior circulating hormonal milieu,” and conclude that their “data have important implications for the development of training regimens to maximize muscle hypertrophy” (McKendry). without pause, until momentary muscular failure (i.e. 9-10 on the Borg CR-10 scale). with either five minutes or one minute of passive rest between sets and gave them 25g of whey protein isolate (MyProtein, Cheshire, UK) right after the workout to kickstart the protein synthesis. Figure 1: Overview of the initial (Trial 1) and next morning procedures (Trial 2 | McKendry. 2016). After having ingested the whey protein shake, the participants rested in both trials supine for 240 minutes. After those 4h, another muscle biopsy was obtained ~3cm proximal to the second biopsy to determine MPS rates over the ‘early’ phase (0-4 h) of post-exercise recovery. The data from this phase was complemented by data from a last, fourth muscle biopsy on the next morning and after consuming an identical protein shake after 10h of fasting (lunch and dinner on the day before were standardized, so that this would not mess with the results). Figure 2: Protein synthetic (myofibrillar) and hormone response after working out with 1 vs. 5 min rest (McKendry. 2016). Whether and to which extent the sign. difference in protein synthesis of which the scientists say that it is an 76% vs. 152% increase in the 0-4h time-window after the workout is related or even triggered by the significantly higher GH response in after the 5-min rest trial is questionable, but if you recall the seminal paper by West et al. (2012), you will certainly remember that GH and cortisol are the only hormones the levels of which after a workout show any correlation with muscle gains (see Figure 3). Figure 3: Sign. associations between PWO hormone levels and lean mass, as well as fiber size increases (West. 2012). With that being said, you may consider this odd, because usually the metabolically more demanding short-rest workout will yield greater GH increases (Kraemer. 1990; Goto. 2004; Bottaro. 2009) – this and the fact that the previously hinted at association exists, but the incline or, in other words, the effect on fiber size per unit increase in GH is low (too low to fully explain the 5-minute-advantage) suggest that there must be more to it than the small GH increase with 5 minutes vs. 1 minute rest. Why do other studies not confirm this finding? I guess that depends on the study. An often-cited paper by Kraemer, et al. for example found 1 minute of rest to outperform 3 minutes hypertrophy-wise – probably because the 1-min rest protocol involved 3 sets of 8 exercises with a 10-RM load, while the 3 minute protocol involved “only” five sets of five exercises, performed with a 5-RM load, so that the two workouts were not volume equated and the study no comparison of workouts with different rest times, but rather one of hypertrophy vs. strength workouts. Conflicting results from other studies, e.g. Villanueva, et al. (2015) who found sign. greater muscle gains in with 1 vs. 4 minutes of rest, may be explained by differences in the study population (elderly in Villanueva, et al.) and/or the training protocol, which did not involve training to failure and thus probably didn’t produce significant volume advantages for the 4-minute rest group. Eventually, volume appears to be, within sustainable limits, the most sign. determinant of the hypertrophy response to exercise, so if you do something to increase it (e.g. myoreps or real vs. volume- equated drop sets, etc.) you may still benefit. If you simply cut the rest, however, the volume suffers from not resting long enough (cf. table on the left) and this may affect your gains. The existing differences in anabolic signaling protein phosphorylation (e.g. p70S6KThr389, rpS6Ser240/244, 4EBP1Thr37/46, etc.) can likewise not serve as a mechanistic explanation. After all, these are the switches that trigger the growth. Saying they are responsible would be tantamount to saying that the light switch is the reason the light went out, when someone actually switched it off. Figure 4: Set- and total volume when subjects trained with 1 vs. 5 minutes rest (McKendry. 2016). That the sign. difference in volume on set 3 and 4, and the significant difference in total volume are actually the explanation, is obviously speculative, but at least for me it is the most likely explanation for a difference (see red box, as well). Bottom line: Eventually, the study at hand only proves what we already knew – training volume is more important than metabolic stress when it comes to hypertrophy gains. Any training regimen / modification that reduces the total volume of weight lifted may thus potentially compromise your gains… if the volume is in fact all that is to the effects of shortening rest times will obviously still have to be determined. As of now, volume is yet the best explanation for the differences or lack of differences and effects scientists observed in this and previous studies such as the recently discussed dropset study by Fisher et al. where the set-volume standardization may have blocked any sign. advantage of real-world (=add-on) dropsets | Discuss!. Bottaro, Martim, et al. “Effects of rest duration between sets of resistance training on acute hormonal responses in trained women.” Journal of science and medicine in sport 12.1 (2009): 73-78.
de Salles, Belmiro Freitas, et al. 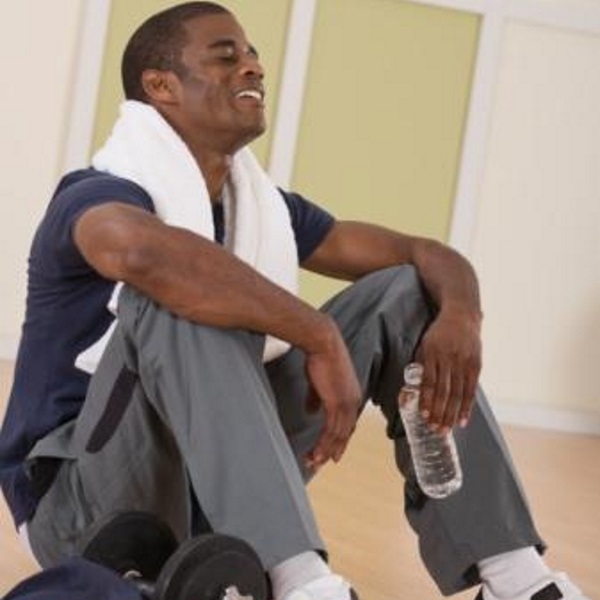 “Rest interval between sets in strength training.” Sports Medicine 39.9 (2009): 765-777. Goto, Kazushige, et al. “Muscular adaptations to combinations of high-and low-intensity resistance exercises.” The Journal of Strength & Conditioning Research 18.4 (2004): 730-737. Henselmans, Menno, and Brad J. Schoenfeld. “The effect of inter-set rest intervals on resistance exercise-induced muscle hypertrophy.” Sports Medicine 44.12 (2014): 1635-1643. Kraemer, WJ, Marchitelli, L, Gordon, SE, Harman, E, Dziados, JE, Mello, R, Frykman, P, McCurry, D, and Fleck, SJ. Hormonal and growth factor responses to high intensity resistance exercise protocols. J Appl Physiol 69: 1442-1450, 1990. Schoenfeld, Brad J. “Postexercise hypertrophic adaptations: a reexamination of the hormone hypothesis and its applicability to resistance training program design.” The Journal of Strength & Conditioning Research 27.6 (2013): 1720-1730. Schoenfeld, Brad J., et al. “Longer inter-set rest periods enhance muscle strength and hypertrophy in resistance-trained men.” Journal of strength and conditioning research/National Strength & Conditioning Association (2015). Villanueva, Matthew G., Christianne Joy Lane, and E. Todd Schroeder. “Short rest interval lengths between sets optimally enhance body composition and performance with 8 weeks of strength resistance training in older men.” European journal of applied physiology 115.2 (2015): 295-308. Willardson, Jeffrey M. “A Brief Review: How Much Rest between Sets?.” Strength & Conditioning Journal 30.3 (2008): 44-50.